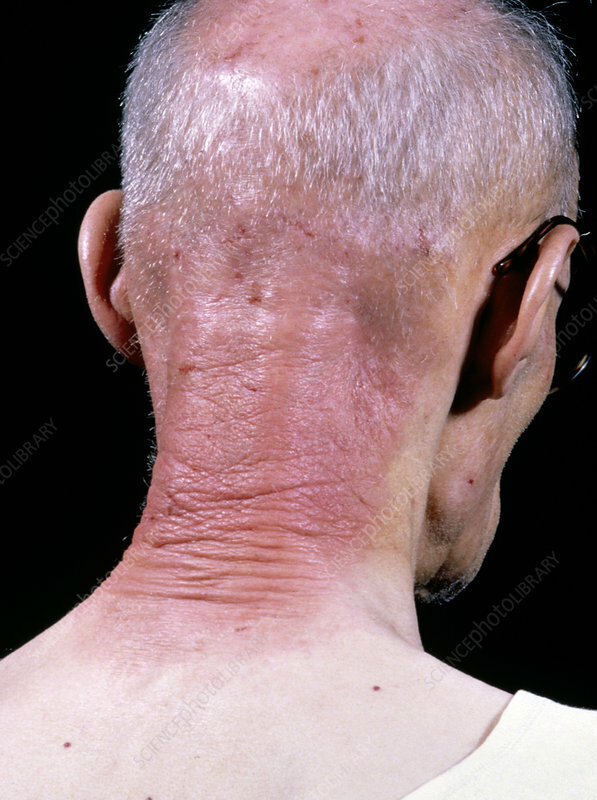 Contact (skin) dermatitis, a form of eczematous dermatitis, seen here affecting the hair and neck. The cause is unidentified. Eczematous dermatitis may result from direct irritation of the skin by a substance such as a chemical, or an allergic reaction to a particular substance that has been in contact with the skin, injected or taken by mouth. The skin becomes red and itchy, and small blisters which weep and become crusted, may also develop. Scaling, thickening and discolouration of the skin may also occur.